Chrismare S.A. is specialized in handling heavy, over-sized and project cargos. 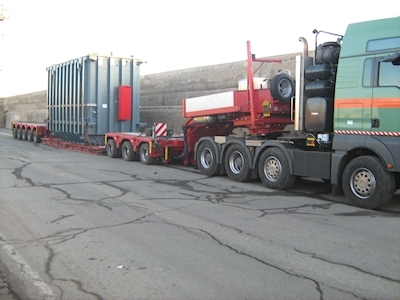 The company operates one 200 tons low bed trailer and two 80 tons low bed trailers. © Chrismare Ltd. 2002-2019. All Rights Reserved.